As a Marketing Specialist focused on community event planning, the connections formed during the entire process are some of my favorite benefits. 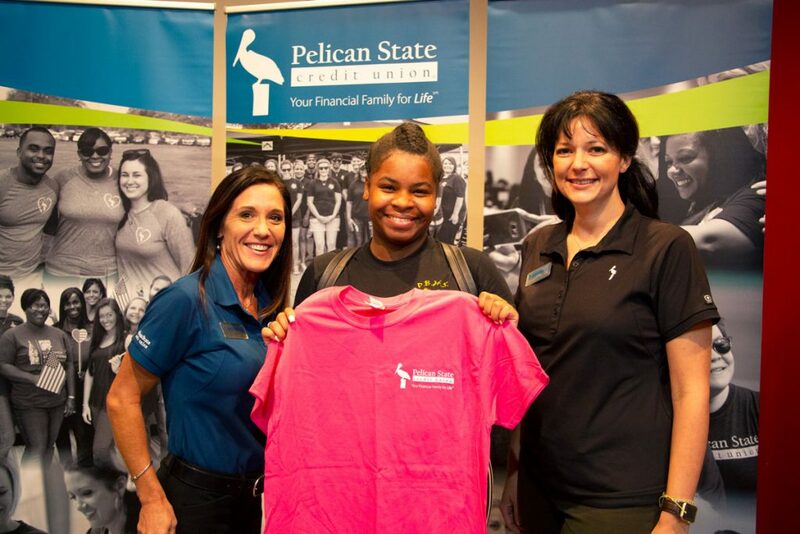 Many of the events I work on take place in different parts of the state, giving me the chance to build relationships with vendors and Pelican State Credit Union branch teams. One area that I’ve worked with a handful of times this year is St. Landry Parish. The events that brought us together were Financial Wellness Workshops. Financial Wellness Workshops feature a variety of topics that cater to different seasons and stages of life, they are free and open to the community, and they’re presented by our Nationally Certified Credit Counselors. Additionally, we offer refreshments, door prizes and the opportunity for guests to become members of Pelican’s financial family! I had the pleasure of helping plan a three-part Financial Wellness Workshop series during July, August and September. 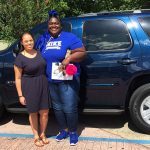 The three topics were Saving and Spending Wisely, Keys to Car Buying Success and Owning the Home Buying Process. 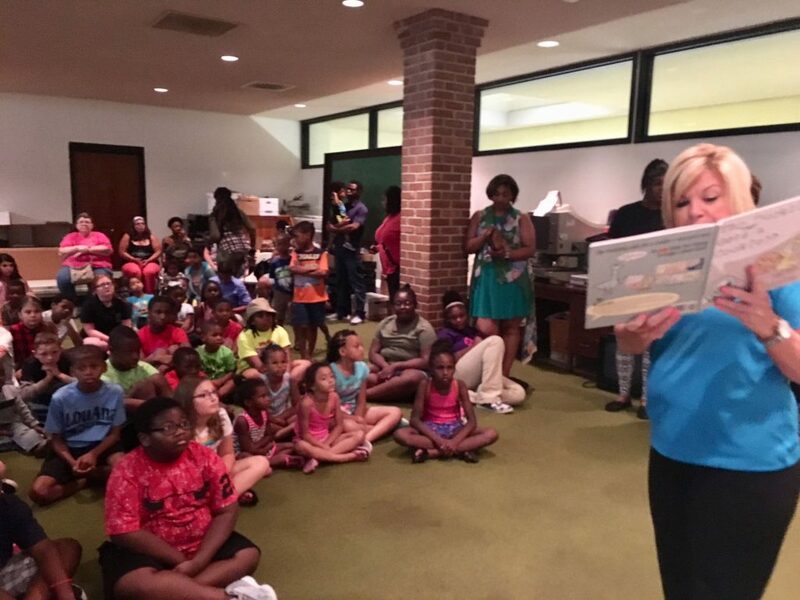 When I reached out to Angela Zachery of the Opelousas Eunice Public Library, she was excited to hear that Pelican wanted to partner with the library to host their final story time of the summer. We scheduled the event a couple of months out. On the day of the event, the Pelican team arrived to the library, and Angela showed us all the stories they read and crafts the children created throughout the summer. It was evident how much Angela cared about the children and the success of story time at the library. The library is amazing! It has two floors, loads of books, a children’s area and some workstations downstairs. Upstairs you can find gathering areas and offices with colorful couches, chairs and lamps. Angela set up a craft for the mothers to enjoy while their children were read to. They crafted fun tulle tutus for their little ones. As 75 children and parents poured into the second floor gathering area, we realized we would need to move into the largest room. Angela and her team were right there to help! Pelican Nationally Certified Credit Counselor April Gomez read The Berenstain Bears’ Trouble With Money and The Adventures of Petey the Pelican. Speaking of Petey the Pelican, he was there dancing, giving high fives and playing games with the children! Along with stories and games, children and parents enjoyed pepperoni and cheese pizza from Pizza Shack. At the end of the workshop we drew the winner of our $50 Zoo of Acadiana gift card and Pelican prize pack. 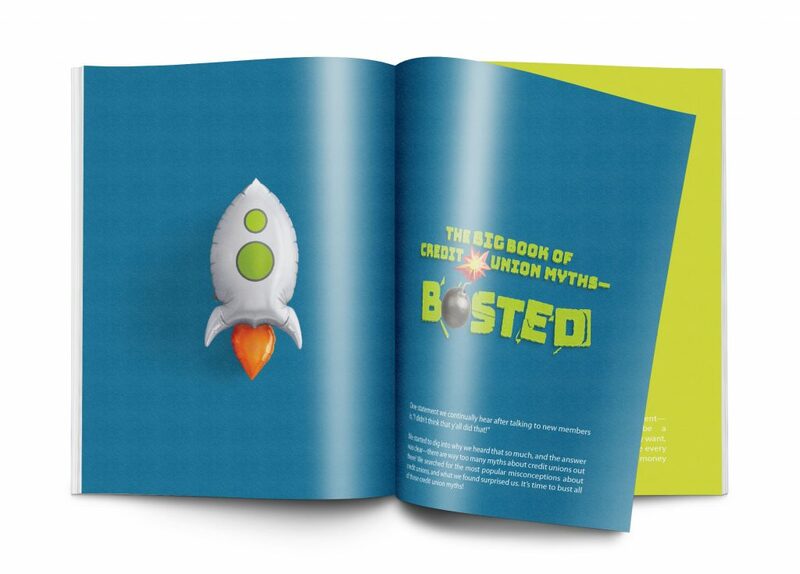 Want to teach your kids about finances? Read tips from our Nationally Certified Credit Counselors in our blog post! 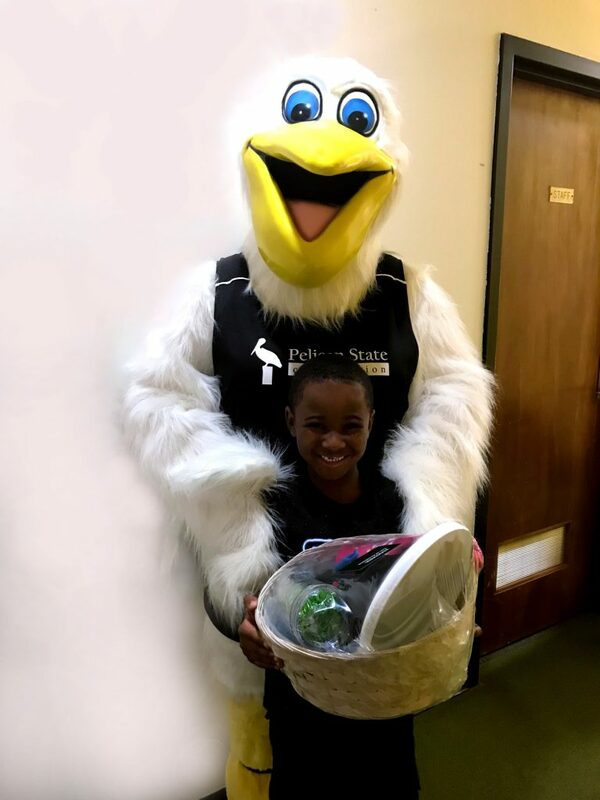 Every child left with a copy of The Adventures of Petey the Pelican, a light up bouncy ball and their very own Pelican piggy bank. The series continued with an Auto Buying Workshop in August at the Delta Grand Theatre. Guests enjoyed breakfast as they learned the Keys to Car Buying Success from Pelican’s Director of Financial Outreach Jessica Sharon. 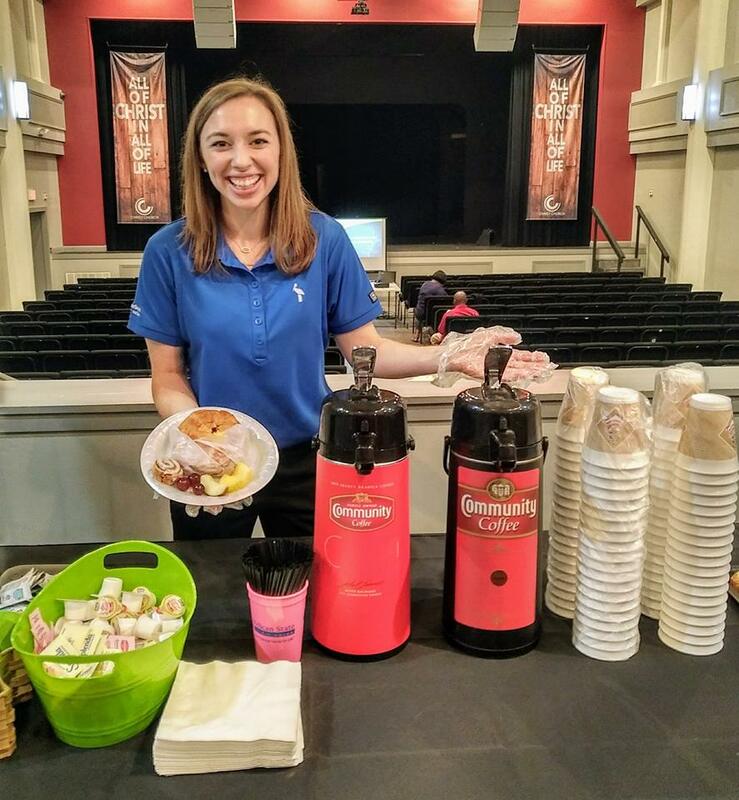 We served coffee and croissant and biscuit breakfast sandwiches from Chicory’s Coffee and Café, one of the cutest cafes in town! The staff at Chicory’s was friendly and helpful, even holding the door for us as we walked out with arms full of food. 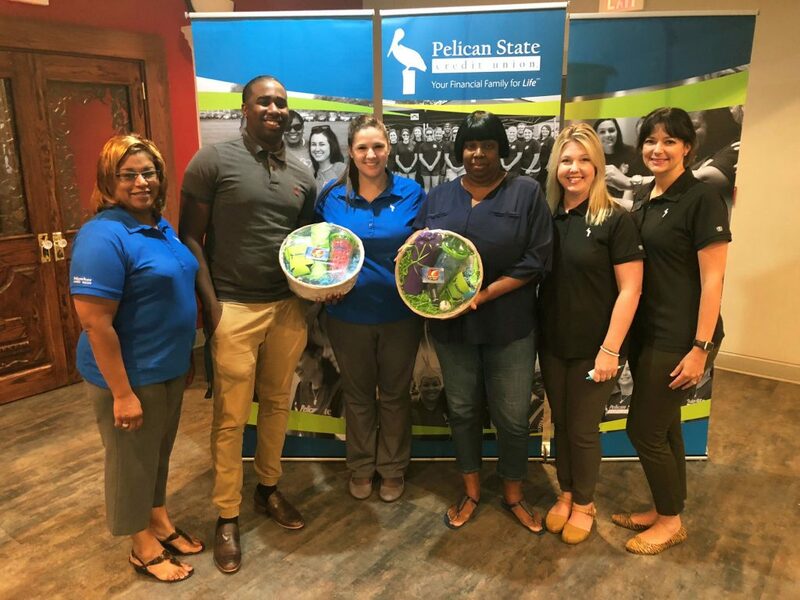 Pelican’s loan officers met with guests interested in getting pre-approved, and a TruStage Insurance representative shared information about the discounts offered to credit union members. Pelican also gave away two prize packs with $50 worth of free car washes at Mr. Bees Car Wash. Check out our blog post to determine if you can afford a new one. One of the major benefits of this workshop was that everything was convenient and able to be done on-site. 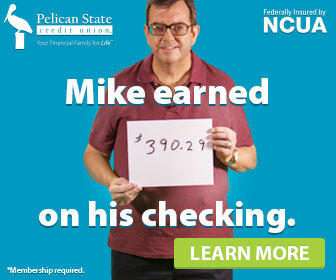 Members could apply for a loan and be pre-approved that morning! 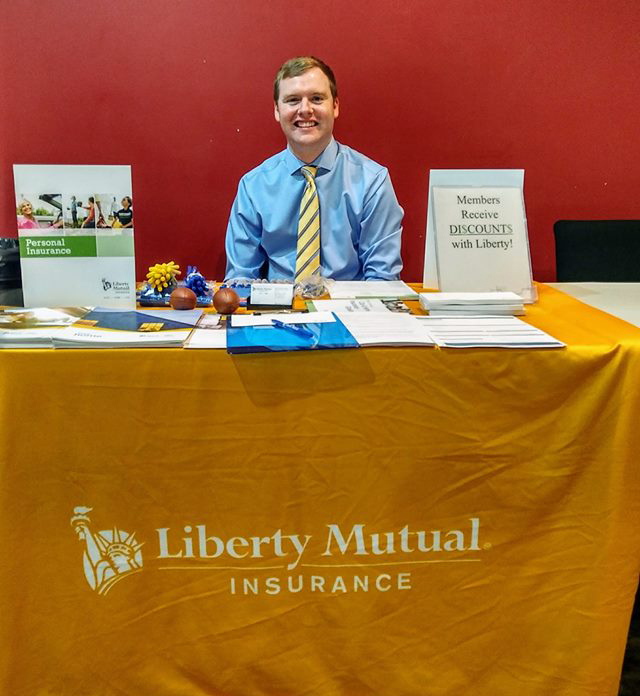 Liberty Mutual Representative Scott Tippett also talked with attendees about TruStage discounts available to Pelican members. 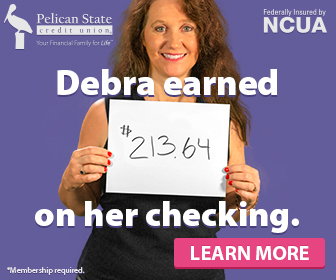 That’s right—members of Pelican may have an opportunity to save money on their auto and home insurance policy! Pelican finished the series with a Home Buying Workshop in September at the Delta Grand Theatre. Guests enjoyed hamburgers from Joe’s Sandwich Shop and learned about Owning the Home Buying Process from Pelican’s Nationally Certified Credit Counselor April Gomez. 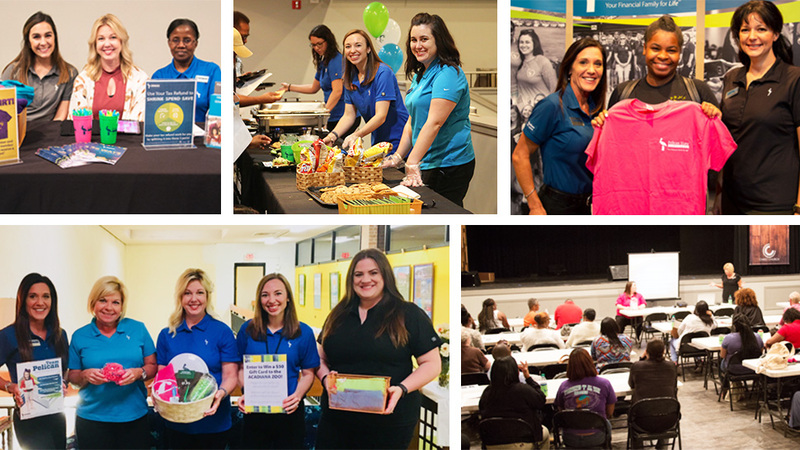 Guests also got to meet Pelican’s Opelousas and mortgage teams, and one won a brand new grill! One of the top three realtors in area, Rachel Guidry, also joined the workshop team to talk with prospective home buyers. 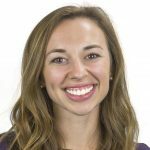 She has been a realtor with RE/MAX Acadiana since 2015 and has loved helping mostly first time homebuyers. 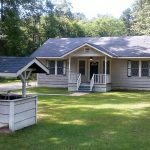 Check out some of the most common home buying questions in our blog post! 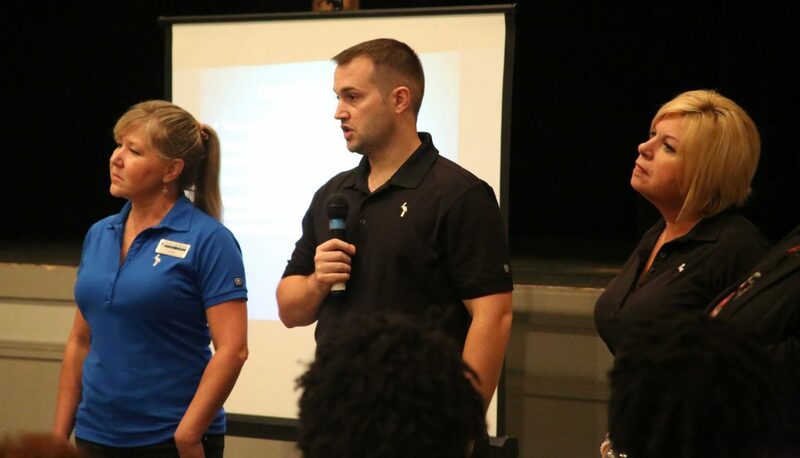 Pelican Mortgage Loan Originators Christopher Neal and Jennifer McMinn-Griffin answered questions with April following the presentation. The winner of the grill was so thankful for the prize and for Pelican team members helping her and her husband load the grill into their car. They were already starting to think of occasions to use it! 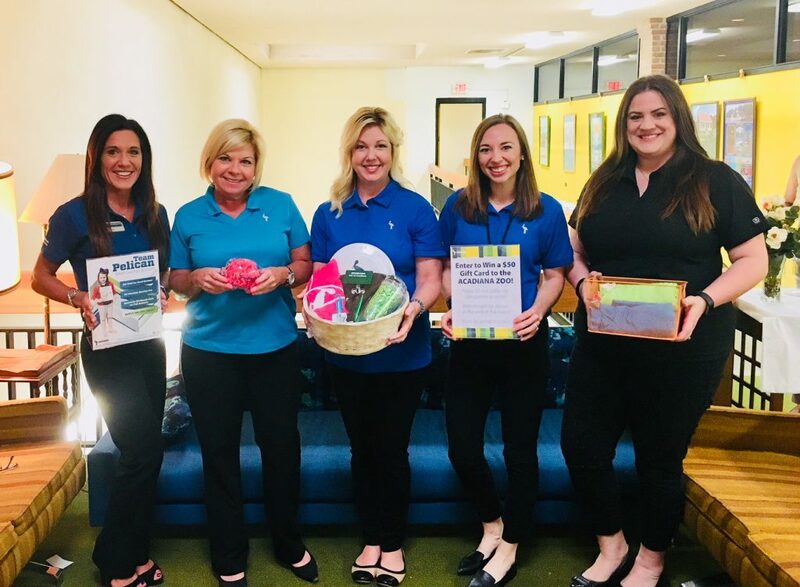 We loved connecting the St. Landry community with people and tools that can help them to achieve an even higher level of financial wellness and the financial goals that they set for themselves. 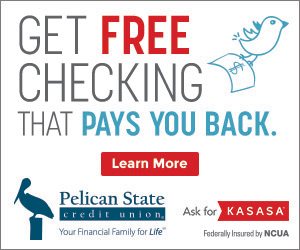 All residents of St. Landry Parish are eligible to join Pelican State Credit Union. Members can benefit from free one-on-one credit counseling, a variety of convenient products and opportunities to participate in giveaways throughout the year! Want us to host a Financial Wellness Workshop in your community? We’ll be hosting them in more cities in 2019! Keep an eye out for upcoming events in your city at pelicanstatecu.com/events.